Kaalkoot is a fast-paced novel about a race against time between spies and shadowy forces, who want to out-manoeuvre, outpace and, also, outkill each other in their quest to find a powerful weapon. In the Hindu mythology, Kālakūṭa is another name for Halāhala – the poison that emerged from the Samudra Manthana (churning of the ocean) undertaken by the Devas and the Asuras for Amrita, or nectar of immortality. According to the Puranas, so potent was Kālakūṭa that its fumes were enough to kill both Devas and the Asuras. It is this name, and the meaning associated with it, that forms the backdrop of private equity investor S Venkatesh’s thriller ‘Kaalkoot’. 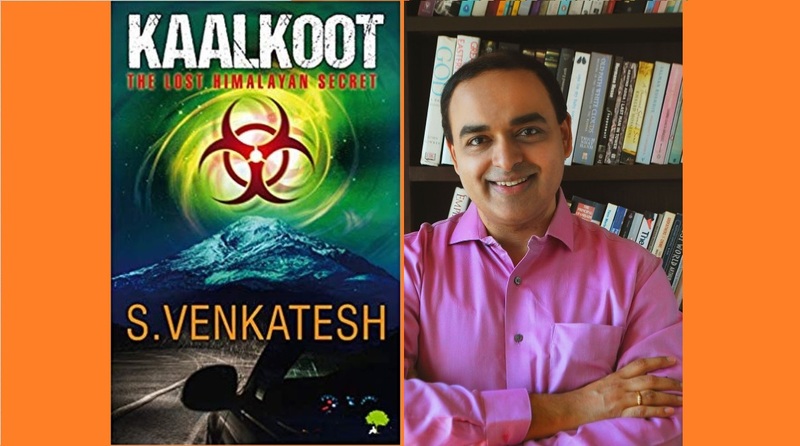 Set in contemporary times and the period just before Independence, Kaalkoot is a fast-paced novel about a race against time between spies and shadowy forces, who want to out-manoeuvre, outpace and, also, outkill each other in their quest to find a powerful weapon. The book – Venkatesh’s debut novel – has received positive feedback from readers and is currently on top of the list of hot new releases in Amazon’s Historical Fiction section. In an exclusive interview to The Statesman, S Venkatesh reveals why he turned to writing, why he picked a story on subterfuge and the future of a world where the race to acquire deadly weapons continues unhindered. Would you tell our readers what KaalKoot, the book, is all about? KaalKoot is a modern-day crime thriller with a historical twist. The book brings a forgotten Himalayan legend, a dark secret from the days of the freedom struggle and an international conspiracy together in a high-stakes environment where time is running out. The book has also been appreciated by readers with a fondness for travel and adventure. KaalKoot apparently tells us about bio-weapons. The real world has witnessed the horrors of bio-weapons and/or chemical weapons in war as recently as in Syria. What are your thoughts about about such weapons and their impact? We do live in dangerous times. Technology is fundamentally reshaping the way we interact with each other, but is also leaving us vulnerable. Threats today could come from any quarter – rogue nations, splinter groups, hackers and maybe, in the not-so-distant future, from robots powered by artificial intelligence. For a motivated group, weapons of mass destruction are not difficult to come by, and the scenario played out in KaalKoot is eminently conceivable. It becomes a race to the bottom – countries need to acquire destructive capabilities as a deterrent, just to remain ahead of others. Interestingly, many countries, including the US, the erstwhile Soviet Union and Iraq, are reported to have flirted with some of the massively lethal substances described in the book. How far they were successful in weaponizing them is anybody’s guess. What made the private equity investor S Venkatesh turn into spy-fiction author S Venkatesh? I have nurtured the desire to write for a while now, but being in high-pressure corporate roles with the likes of JP Morgan, Credit Suisse and Macquarie meant that the inspiration often got buried in a blur of deadlines and presentations. On the positive side, this enabled me to travel and meet people, and gave me a rich reservoir of life experiences that I could tap into. As John le Carre put it, “A desk is a dangerous place from which to view the world”. A few years ago, when I was travelling extensively on business, I ended up taking more than three hundred international flights over just a couple of years. That’s when I got a chance to silence the external noises, listen to my inner voice and act on the inspiration. A lot of KaalKoot actually got written on those flights. Over time, I have learnt to balance my writing with my corporate pursuits. Are we looking at a long-running book series or a trilogy? KaalKoot is a complete story in itself. Will some of the threads from the story rear their ominous heads again, and will some of the characters come alive once more? Only time will tell. The publisher, TreeShade Books, has announced the title of my next book ‘Agnibaan – Guardians of the Fire Chamber’. Agnibaan will also be a suspense thriller with a strong historical connect. What made you pick a story dealing in weapons, war and subterfuge for your first novel? The book brings together a number of things that have enchanted and engaged me for a long time. I have loved reading thrillers for the sheer intensity of emotions that they generate, and I started writing one for the joy of being able to tell a story that would have the reader riveted. 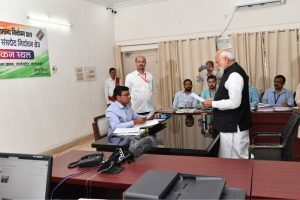 I have also been inspired by travel, and places form an important backdrop to the story as the plot moves from the crowded bylanes of Mumbai to one of remotest corners of the Himalayas. Lastly, I have been fascinated by our philosophy and history right from my college days at IIT Delhi and IIM Calcutta, and that led me to choose a strong historical and spiritual underpinning for the book. You have crawled through the war tunnels of Vietnam. (I presume you are referring to the Củ Chi tunnels that were used by the Viet Cong.) What was the most remarkable thing you witnessed inside the tunnels and what did you learn from that experience? I lived in Vietnam for some time, and got to explore some part of the country’s rich and turbulent history. The Viet Cong fighters had made this amazing network of tunnels their home during the war, braving venomous insects, food shortages and illnesses for months on end. Crawling through one of the tunnels at Củ Chi on all fours, with no room to even sit, I was engulfed by panic and claustrophobia at around the midway point. There was no going back now. The only way out was to soldier on. In that instant, it struck me that a world of possibilities opens up once you are willing to come face-to-face with your darkest fears. The one redeeming feature in the tunnel was the realisation that there was a person somewhere ahead of me, possibly in the same predicament. That seemed to underline the importance of human contact and the immense strength that we derive from connecting with people. My experience at Củ Chi forms the inspiration for one of the scenes in the book, although it is set in a different country and context. And you encountered a bear in the Nilgiris! Tell us more about it. A friend and I had gone for a short hike near Mudumalai, accompanied by two guides. We had just rounded a bend when we saw a bear right ahead. The first thing I noticed was that the guides – they later turned out to be cooks who were moonlighting – had vanished into the bushes. The bear stared right into my eyes for a few seconds, and the world seemed to come to a stop. Then it bounded away down the slopes. I would still like to believe that the bear and I connected for a brief moment there!